Once more into the vault my friends, once more into the vault. Step back in time, to a time when the modcast was young and fresh. Step back to 2007. 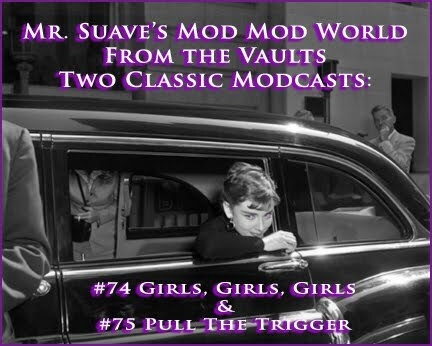 I've opened up the vaults and dusted off not one, but two classic modcasts that I think you'll enjoy. Again. 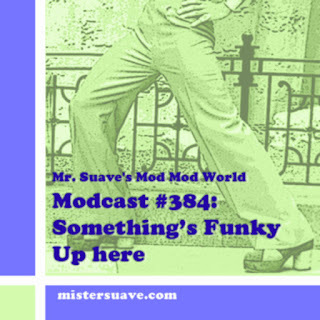 Welcome to Mr Suave's Mod Mod World. First, all apologies for missing last week's modcast. It's inexcusable, but by way of an explanation I will tell you that losing electricity to half your half house is a mind boggling experience. Mostly because you're trying to figure out what the hell happened between one electical outlet and another to make half the house light up like a Christmas tree and the rest of the house to play dead like a possum. Regardless, I am now able to get the latest modcast broadcasting far and wide. So, here you go with this week's goddam good set. Dirty Pretty Things -- B.U.R.M.A.